"Get on TV! 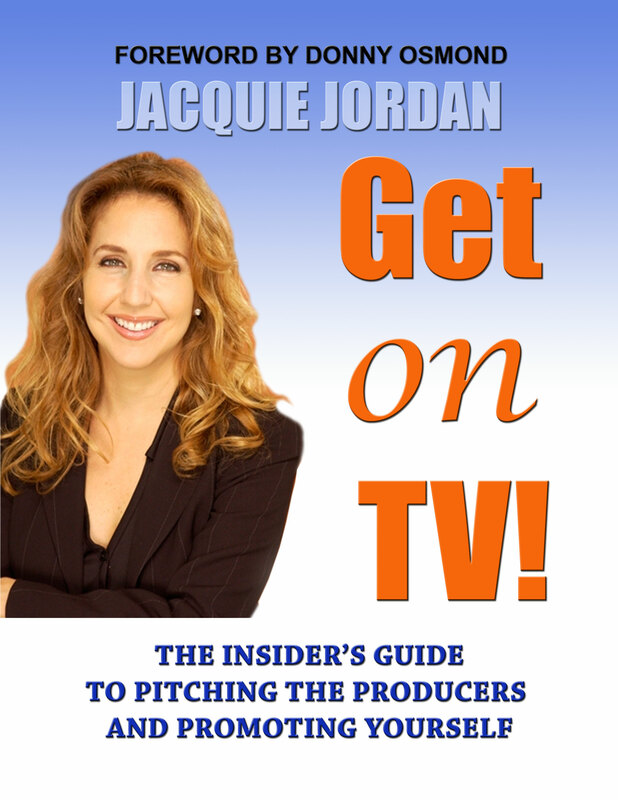 The Insiders Guide to Pitching the Producers and Promoting Yourself"
Expert advice on how to get booked and asked back! "Jacquie ought to know how to get you on TV... she's put half the country on TV, including me." --Maury Povice. • The importance of tape and materials. • Speaking the language of the television producer. • Being persistent without being annoying. • What to do when you're booked and cancelled. • How to get asked back again and again. • If you know the right moves, you can get on TV! Jacquie Jordan is the founder of the ten year old Silicon Beach based TVGuestpert, TVGuestpert Publishing and TVOnCameraTraining.com. TVGuestpert is a media development company that raises the profile of the Guestpert in the media and grows their client's core business. With TVGuestpert, Jacquie works with businesses on their branding, promotion, marketing, producing and development, as well as their on-camera execution. Jacquie has been involved in booking, supervising or producing as many as 10,000+ television guests. Her reign has come from successfully launching and executing many syndicated daytime programs and cable shows. Known for her ability to find the heart of any story, Jacquie garnered her second Daytime Emmy nomination for Best Show on Donny & Marie (Sony Pictures Television). She currently resides in Los Angeles spending her free time practicing yoga, raising awareness around animal neglect and mentoring women entrepreneurs.